I sometimes get people asking why the home is so expensive to rent on a weekly basis. People also ask why the house is so inexpensive to rent during the months of April or November and why it is so expensive during July and August. A common question in the off season is why don’t I pro-rate exactly a long weekend so that a $7,000 week, for example, would be just $2,000 for a weekend. To answer these and many questions I have put together this page on just what is the affordability of a vacation at the Captain Morse House. Forgive me if you already know this but the simple reason for the sharp swing in seasonal price is purely supply and demand. Folks, like for example President Obama, want to come to the Vineyard in August. Lots of other people do as well. The island, being an island, has only so much space on it. Only so many rooms and only so many houses available for rent. This demand pushes up the prices for a stay on island and our rates reflect what the market will bear. 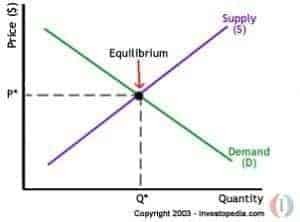 If you are interested in economic theory here is an excellent explanation of supply and demand. Another component of the homes cost is it’s size. At almost 10,000 square feet you are not so much renting a house as a mini hotel or mansion. When my father bought this White Elephant in 1955 no one wanted it as it was difficult to heat and very expensive to keep up. He remodeled the back of the house to be able to rent the back out and help pay for taxes and upkeep. This floor plan and option still exists however most people now choose to rent the entire property rather than just the front or back of the home. Another change has to do with the cost of insurance which has sky rocketed along with most other costs of running a large home. Tradesmen on the island are also part of the supply and demand equation. The costs of electricians and plumbers, just to pick on one group, are 2 to 3 times the cost of off island workers. This is why you see so many workers doing a daily commute to the island on the ferries and planes. When I grew up in the house it was just my parents and my brother. We could still fill the house with guests and friends. Back then we could accommodate 13 people. One of our first rentals was a professional racing team that required beds for 12 men. They did not want to share our queen and king beds. That led us to enlarge our bed count so that now we can accommodate up to 25 people. This increase in beds was all accomplished within the existing floor plan and still leaves the entire first floor occupied by only one bedroom. Now if you compare lodging options on Martha’s Vineyard you will find that we are very competitive on a per person basis. The house holds up to 25 people. So our lowest weekly rate off season using 23 is $4,950 / 23 people / 7 days = $34 per person per night all in. Pretty reasonable! You can get a hotel room off season for $99. The house holds up to 25 people. So our weekly rate for high season using 23 people is $17,500 / 23 people / 7 days = $114 per person per night all in. Our high season rates are still less than half of the price of the island’s high end hotels which you can research yourself on Google. Some examples follow from 2014 last week of the summer follow. These include taxes and fees. https://www.hobknob.com runs $637 a night so for two people this runs $318 per person. https://www.harbor-view.com/ runs $918 a night so for two people this runs $459 per person. https://www.thecharlotteinn.com runs even higher but you will need to request these rates yourself. This may be the nicest Hotel on the island. So you can see that we are well priced on a per person basis. If you want to run the math on a per room basis you can using this guide here. Our rooms vary quite a bit in size from the large Master Bedroom to the smaller single bedrooms on the third floor where the servants used to live. The question as to why the home is not pro-rated perfectly for a weekend, say at 2/7th the cost of a week is because the weekend is the one part of the week that everyone wants. I can sometime give a small discount because the house isn’t getting used for Monday to Friday but the wear and tear of a full house for a weekend is just about the same as for the entire week. A great example is to imagine you order a Swordfish dinner at E’Toile. Now imagine that you want it for 1/2 price because you really don’t want the native green beans and wild rice that come with it and the plate is half full of those veggies. I suppose if you didn’t want the swordfish the rice and beans would be about 1/2 the price of the entree but everyone wants the swordfish just like everyone wants the weekend. If you do want just Monday to Thursday or Friday let me know. I can give you a great deal. If you have a wedding, special birthday or just want to gather the entire family together we are certainly one of the island’s best in town vacation rental properties. When all factors are considered such as location, quality and amenities we are one of the best options for your island vacation. Breakers Hotel in Palm Beach – low supply = high price, unless it’s summer.